Saddle up and jump on your horse to be in with a chance of grabbing the bonuses on offer in the Past the Post Jackpot slot. Featuring fun and quirky cartoon characters, this slot is action packed and full of action. Choose your favourite horse, jockey and odds to help make your wins big. 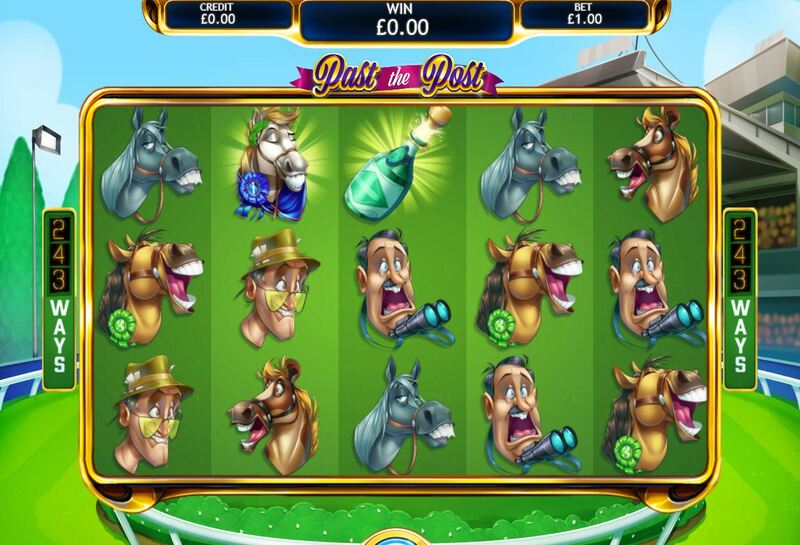 Developed by Eyecon, this slot benefits from beautiful and vibrant graphics and very cute and friendly horses. Join & spin today! Eyecon were founded in 1997 as a computer game company before moving onto creating online casino games in 1999. They released their first slot game in 2003 titled Temple of Isis which is still on their most successful and popular games to this day because they have created and designed games that are timeless and what players love. With more than 6 billions spins a year, Eyecon continues to grow as one of the most successful companies in the gaming industry with an increase in clients and players each year. Here on easy slot, we have many of their creations for you to test out! You can read more about mobile casino and start playing today! 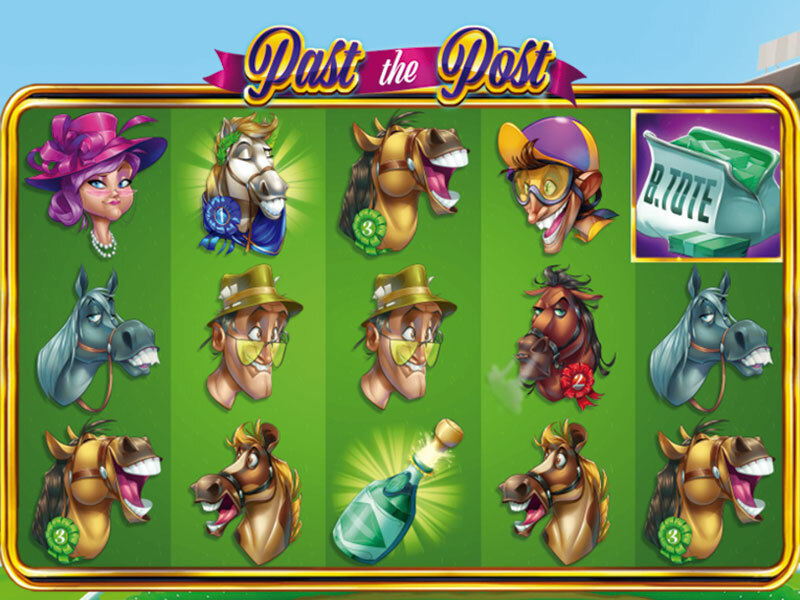 Past the Post Jackpot slot, lets players enjoy a day at the races. The slot has 5 reels and 243 pay lines, with a minimum bet of 25p per spin. There is an autoplay button so if you’re looking for a relaxed at the races, you can set the automatically spin right infant for you. The symbols include cute and friendly cartoon horses, jockeys and women wearing a hat. There are 5 different horses to view at the races, the 1st, 2nd place and 3rd place horses and two others that are all pulling funny faces and animated well. The horse symbol can pay 8 up to 32 for landing 5 in a line. Another symbol is the popping champagne, a favourite to sip on when watching the horses race or when you win big, this symbol will reward you with 50 coins for landing 5 on a reel. This feature can be re-triggered throughout the free games round up to 15 times giving you plenty of chances to win big. Let's hope you make the finish line with a winning horse and take home some great payouts on offer from the Past the Post Jackpot slot. Join today and discover our general Easy Slot promotions. A day out at the races just became even more exciting thanks to Eyecon’s new slot machine game. Enjoy the high-quality graphics and friendly horses that will keep you company as you spin through the reels. If you enjoyed Past The Post why not try Vikings Go Slots.